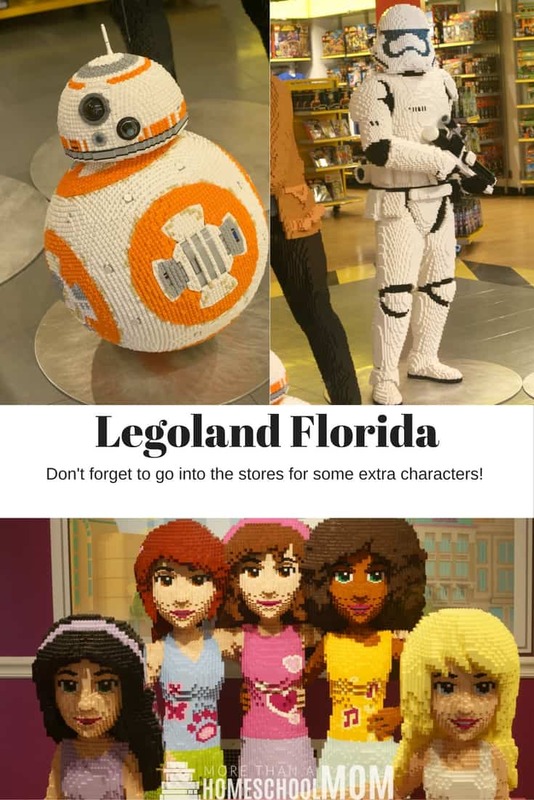 Legoland Florida Tips you don't want to miss! Find all the hidden adventures! I was not compensated for this post. 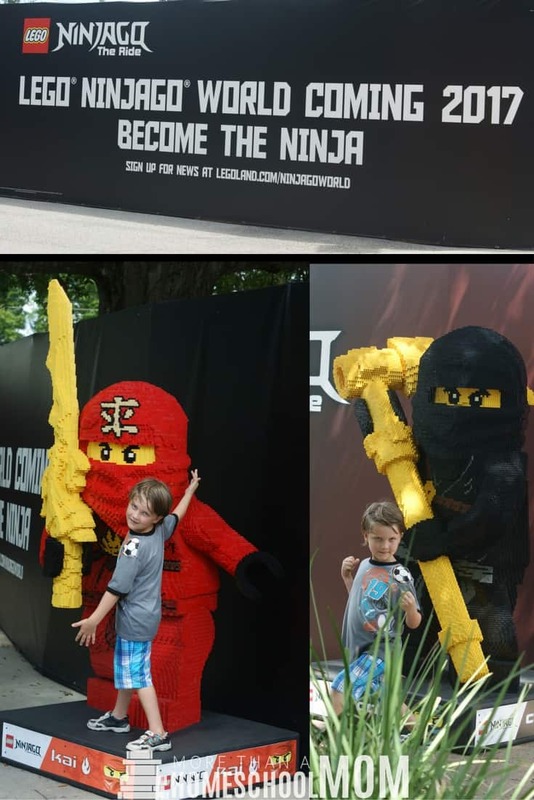 I did receive 4 tickets to Legoland for my family. However, all opinions are 100% my own and were not influenced by these tickets. 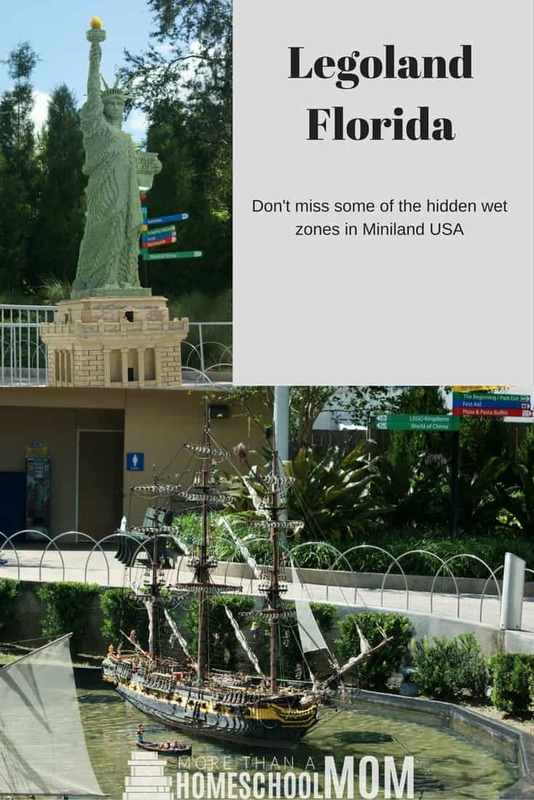 A few weeks ago the family had the opportunity to spend a day at Legoland Florida. I wasn’t sure if we would enjoy it or not. We went a few years ago and while we enjoyed it as much as we could my little guy was getting over a cold so we couldn’t enjoy the full experience. This time we had a blast. 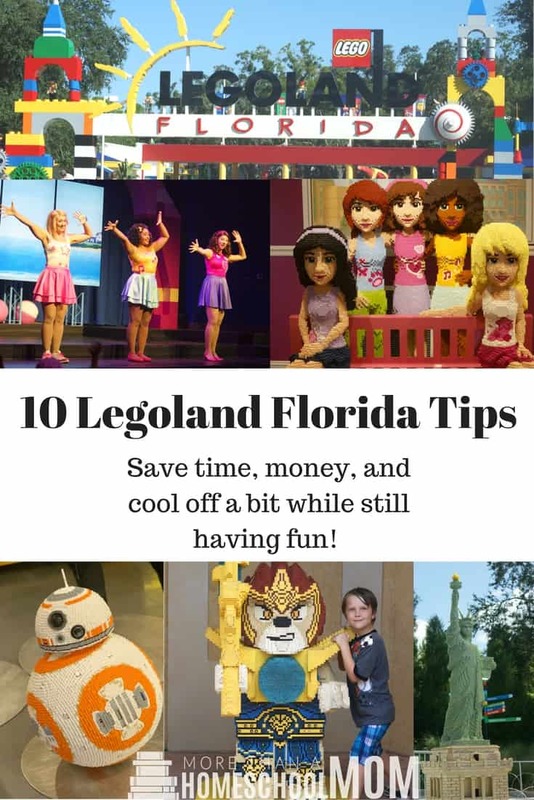 We were able to walk out of there with 10 Legoland Florida tips that you won’t want to miss before traveling! I hope to save you time, money, and help you cool off a bit. In case you wondered, it’s not Fall in Florida yet. Parking is one of those things you hate to think about but have to. There are a couple options for you here. If you are planning to park on property you can pay for your parking in advance online and save $2. Are you coming from Orlando? Want to avoid driving? 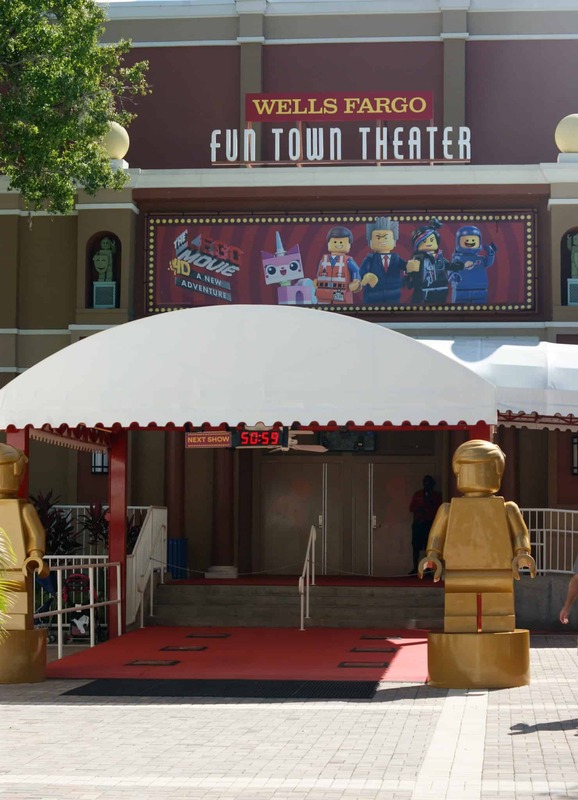 You can now pay $5 per person for a roundtrip shuttle from the Orlando Eye to Legoland. Parking at the Orlando Eye is Free. 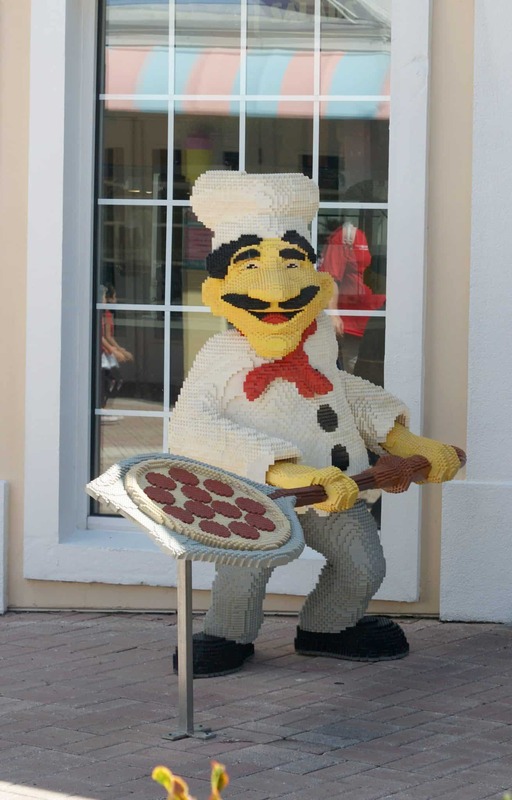 Find out more at the Legoland Website. While you are in the parks, find some of the hidden Lego characters. Ok, they aren’t really hidden. If you go inside many of the stores you can find some amazing characters that are set up for photo ops. Make sure to walk through the different stores to see which characters are hidden all over the store. Buy a Lego Minifigure before coming to the park or build your own while you are there. There will be countless employees with Lego figures on their name badges that you can trade with. This is a really fun way to walk out with a different figure than you walked in with. While this ride is mentioned as a 4D show it is really more of a 3D show with some small elements that could maybe be 4D. The only elements I think that really throw it over from 3D would be some smoke and strobe lights. That said, it’s a really fun show and I definitely recommend checking it out! I think that this is a case of doing the best with the building you have to work with. The show is fun and filled with many jokes that are on the same level of comedy as The Lego Movie. Looking to cool off while having a party? From what every employee I talked to said, the ‘Friends to the Rescue’ Live Stage Show has the best A.C. in the entire park. We decided to find out while enjoying a bit of the show and a bit of dance party. 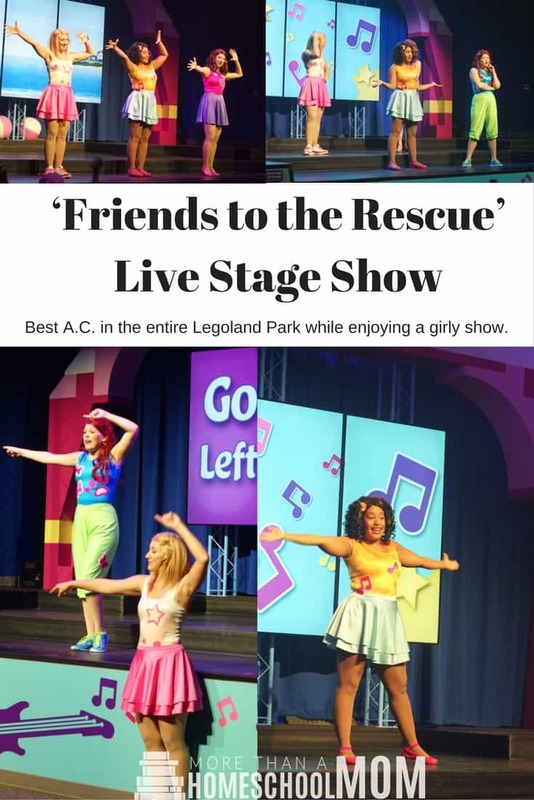 The Lego Friends have a bit of a problem but friendship, music, and dancing have a way of helping work it out in this stage show. There are shows throughout the day and this is a great place to cool off while your kids enjoy the show or join them and dance along. Some of the Lego characters are not only awesome, they talk. Some even sing. Make sure to take a minute and see if you are near one that has something to say to you. Some may even make you laugh a little. We were able to pack a great lunch and have a wonderful time at the park. The guy at security even joked with us about how small our mandarins were. He didn’t understand why you would make an orange that small. If you are going through the dessert that is Miniland, (you will know what I mean if you go in the Summer) than you will want to visit a few of the buttons you can push to spray you with water. The Statue of Liberty has one to her left and the Ship has one to her right. There are probably more. Make sure to stop at these to cool off before you continue to other areas. If you are looking to get really really wet head over to Chima! Not only will you get drenched, you will have fun doing it. We had a blast on the ride shooting both the targets and people with the squirt guns on this ride. This is a simple and fun way to cool off on a hot Florida day. Learn to drive, fly, and so much more! There are some really fun driving schools. Just do yourself a favor. 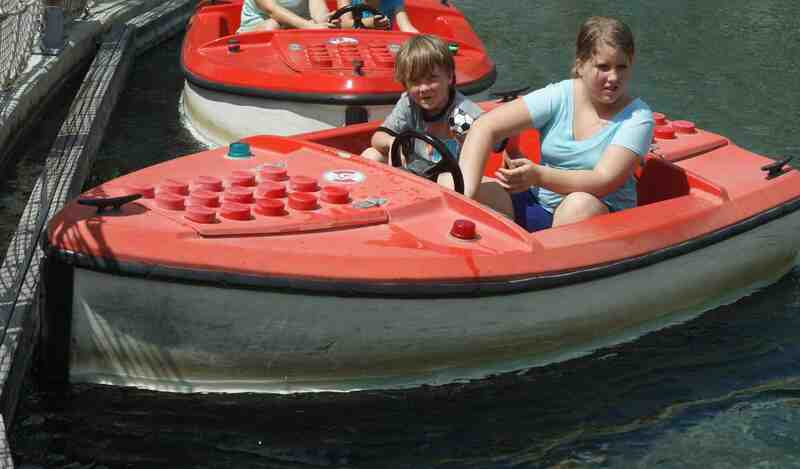 Don’t put your kids in the boat together unless you think they are strong drivers. My two wrecked that boat into the wall more times than I can count and went backwards at least twice. That said, they really do have doing all of the different driving classes and it is a great option for kids to have a good time. I worked with them on a project.